Shopping for Star Wars Backpacks? 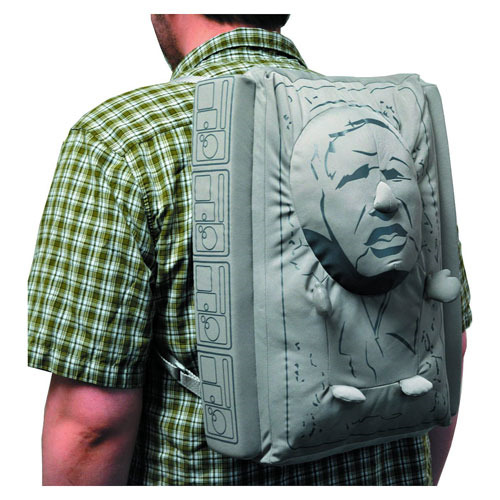 Wear your love for Star Wars right on your back and protect your buddy Han with this Han Solo in Carbonite Plush Back Buddy. Whether you're dressing up as Boushh Leia for the next fan event or need a unique bag to carry and store your belongings, he's both squeezable and collectible! This Previews Exclusive is just what the Jedi ordered. Measures approximately 18-inches tall by 12 1/2-inches wide by 4-inches deep. Ages 14 and up.